The news that Facebook's Android app has been collecting call and text histories is yet another black eye for the social media giant. But just why was Facebook able to siphon off records of who its users were contacting - and when - in the first place? The short answer: Because Google let it. The longer answer: Well, it's complicated. The social network acknowledged on Sunday that it began uploading call and text logs from phones running Google's Android system in 2015 - first via its Messenger app and later through an option in Facebook Lite, a stripped-down version of its main app. 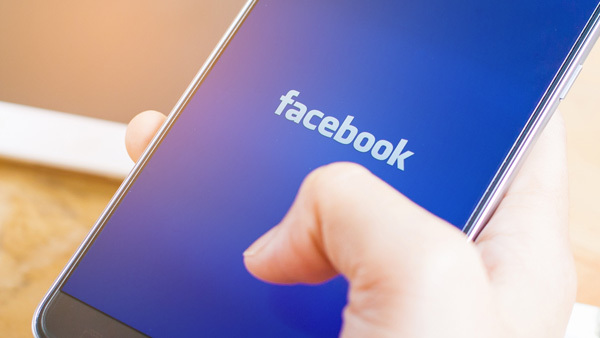 Facebook added that only users who gave appropriate permission were affected, that it didn't collect the contents of messages or calls, and that users can opt out of the data collection and have the stored logs deleted by changing their app settings. There's a reason Facebook's actions were restricted to Android phones. Apple locks down app permissions tightly, which offers more privacy protection to iPhone users. "Apple's fundamental approach is to collect the minimum amount of information to keep the service running, and keep customers in control of the information," said Rich Mogull, CEO of the security firm Securosis. Trump-linked analytics firm Cambridge Analytica used stolen data, ex-employee says. Matt O'Donnell reports during Action News Mornings on March 19, 2018. Until recently, in fact, Google let app developers gain access to a phone's call and text logs. All they needed was an app that required access to user contacts. Once users agreed, Android would then also grant access to those communication histories. Starting in 2012 with its "Jelly Bean" release, Android would notify people installing such apps that they were also giving apps access to their call and text logs, but still required them to agree to all those permissions at once. Rejecting the request meant the apps wouldn't work. It wasn't until 2015 when Google released Android 6.0, dubbed "Marshmallow," that Android phones finally split up those permissions. That meant users could agree to share contacts, but reject access to their messaging and phone histories. That's the same year Facebook says its apps started collecting this information. But many Android users aren't using the latest version of the software. In fact, they often can't get it even if they want it. Experts and privacy advocates say the answer to the first question is probably related to Google's advertising-based business model, which - like Facebook - depends on collecting detailed information about users in order to target them with tailored ads. Apple, meanwhile, derives its profits from the sale of devices and services like Apple Music. Another possible factor: Android was playing catch-up with Apple for many years, and was eager to attract app developers in order to attain parity with Apple's App Store. Some app developers may have found greater access to user data on Android attractive - as Facebook did. Experts say it's not clear if other apps are going as far as Facebook in terms of tracking call history and texts, but it's very possible. "In a lot of ways, Facebook is the tip of the iceberg," said Bob O'Donnell, chief analyst at Technalysis Research. "There are plenty of other people doing this kind of data collection." A Google spokesperson was unable to say how many apps gained access to call logs so far or how many users' call logs had been sent to app developers. The company declined to comment further. The role of manufacturers of Android phones for protecting user privacy remains unclear, South Korean mobile device maker LG Electronics Inc. said Tuesday in a statement. "Privacy is everyone's responsibility - software providers, carriers, as well as device manufacturers," said LG, whose smartphones run on the Android operating system. "At this time the nature of the data breach is unclear so it is difficult to comment on the cause or the solution," it said. "If hardware played a role in the breach then we will certainly look into solution options." AP Technology Writer Youkyung Lee in Seoul, South Korea, contributed to this report.